How do you perfect perfection? Ask the People at Diono. In the next weeks they will be unveiling ,on their website, a new addition to the fantastic line of quality car seats and products. This product? The Rainier Convertible Plus Booster car seat. We are a Diono Car Seat home and absolutely love all the features of the Radian RXT(you can check out my review here) but now they came up with a car seat that will follow your family for a longtime to come backed with the safety and quality of Diono. – deeper sidewalls (on the top area) which adds an additional layer of protection. Traveling? 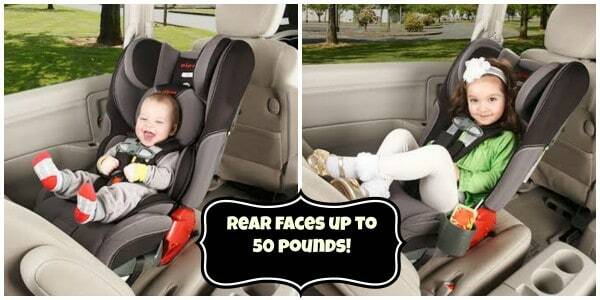 This car seat folds flat making it a cinch for travel! Best of all it has a 12 year life from the date of purchase. This is something very unique! So make sure and keep your eyes open for this and some of the other great products coming out from Diono in the next few weeks. 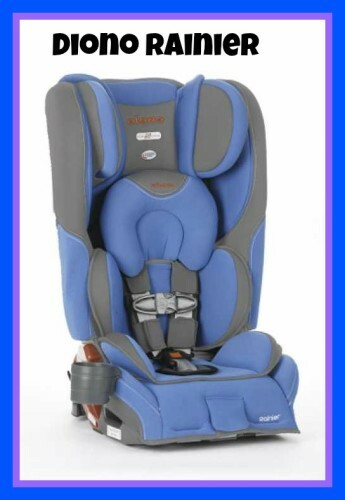 Get quality, style and most importantly one of the safest car seats on the market. Love Diono! Would love to try it out. ohhh, I need one of these! And I like the color too! Wow this is great… my 5 year old is in a Radian right now. I love that this carseat is so much more versatile and will last a long time! We have an r100 now, but might need to get this one for another seat. These look so much more comfortable for little guys! And big guys too! I usually use a sling to carry my little, do I bet this would be a great upgrade for him…. I love the new design; I like the fabrics so much more and I love the new headrest design. I was iffy about the seat but now I think we might need one!!! The folds flat for travel looks fantastic. We traveled with a car seat for the first time earlier this month and I was worried about it getting damaged by the airline. Too bad we just got a new car seat less than a month ago. 12 year life, kinda makes me feel like its made with a higher grade plastic that wont get so brittle in the over years of being in the sun. will def look out for this. 12 year life????? How rare! Diono NEVER disappoints. I hear such good things about Diono, and this looks like it’s packed with good features that make it a pretty worthwhile investment. How exciting!! 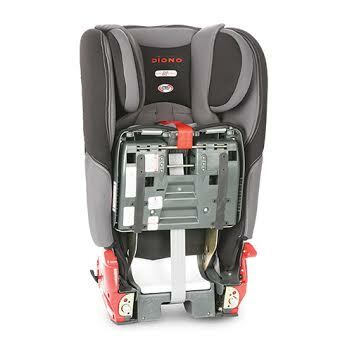 We love our Diono car seat! 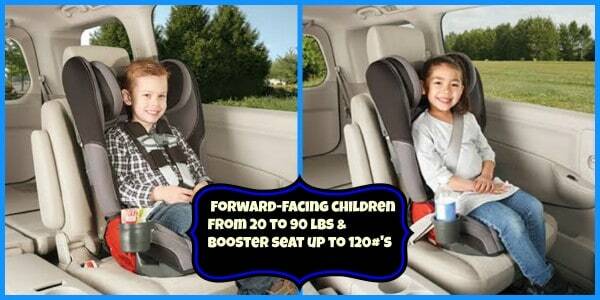 I use it with my 2 year old and now that i’m pregnant with #2 I think this will make my car seat decision easier. Do you know if it will fit 3 across like the Radian? Either way it’s a beauty! !Thanks for letting us know about this. Oooh. I like how it folds up. And the 12 year expiration is nice, too! I have never seen a car seat that folds up! I like that and the car seat looks really comfortable and good quality. Some great new features! We have radians too and I do like them. I wonder if they fixed it so it could truly be used as a booster seat? The radian’s aren’t practical as boosters since most kids have outgrown them in height before they can use it as a booster.